I’m a shower kind of guy, but that doesn’t mean that I don’t understand the need for some entertainment if you’re taking a soak after a long day at work. I like the fact that this little thing gets the job done without spending hundred of dollars on speakers and a system for your bathroom. The iDuck speaker connects wirelessly to your music player and it’s waterproof. 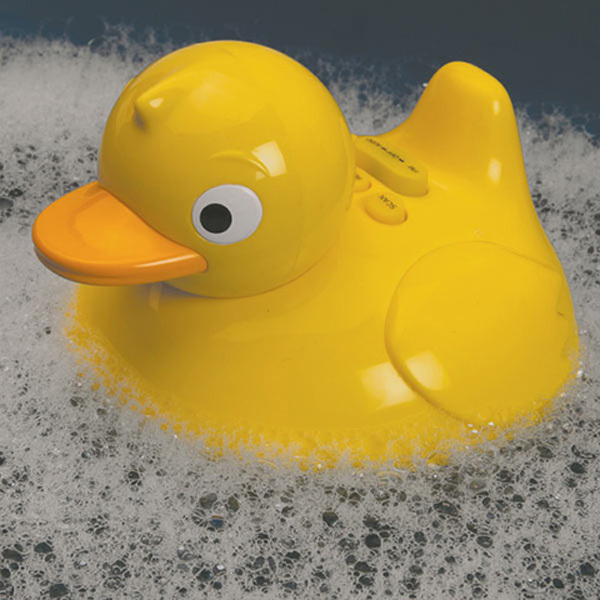 The iDuck Wireless Speaker is shaped like a rubber ducky and hearkens back to when you were taking a bath as a kid. It’s got a speaker that can play tunes from your MP3 player, iPod, or iPhone, thanks to an egg-shaped transmitter that connects to your media player’s 3.5mm jack, and sits safely out of harm’s way. 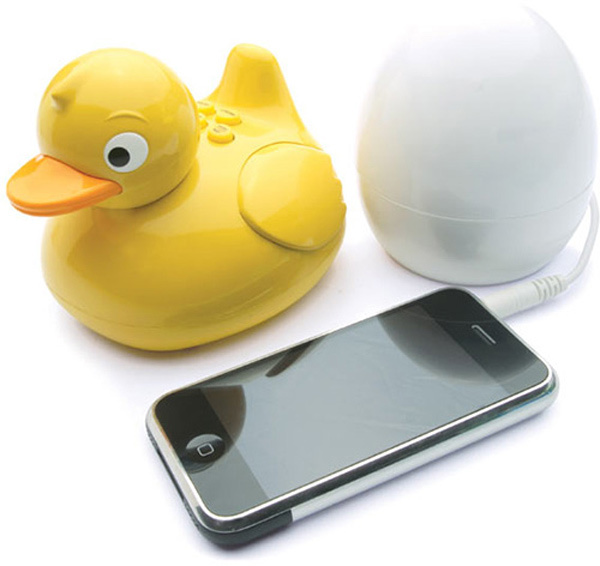 The duck needs 4 “AAA” batteries and the egg needs 3 of them, but that’s not a bad tradeoff considering that you are saving your iPhone from water damage. The iDuck sells for £25 ($40 USD) from Totally Funky. I guess that waterproof earphones with a waterproof pouch would also do the trick, but Ernie only approves of this one.